UPDATE: this documentation is also applicable to installing BV Commerce 2018 SP1. 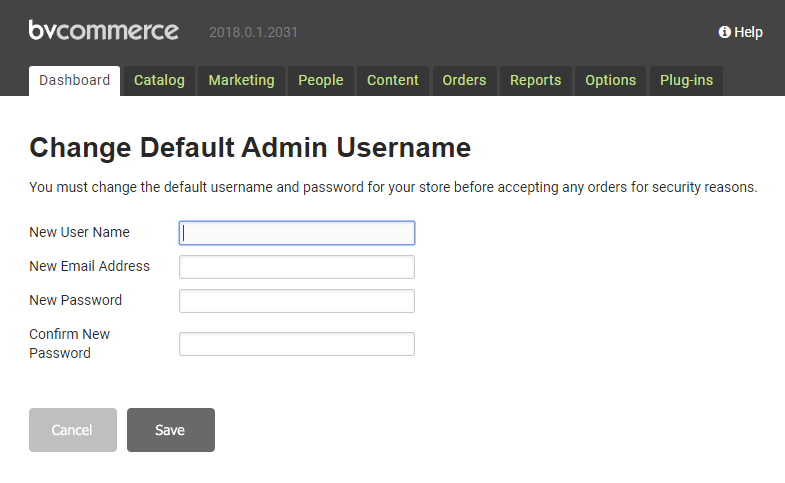 The only difference is that you would download BV Commerce 2018.1.1.2250 SP1 from your account in step #1 below. 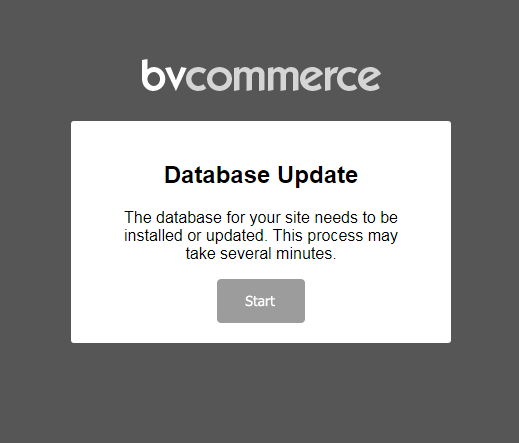 The process of creating a fresh installation of BV Commerce 2018 is identical to past releases. The system requirements, listed below, are unchanged from BVC 2017. Prior to installing BV Commerce 2018 please verify that your server supports these minimum requirements. If you are unsure please contact your hosting company or IT department. The Full Text Search component is typically installed already, but in some cases this will need to be added to the SQL Server. Note that if you are using an Express edition of SQL Server and full text search is not installed, you will need to install the Advanced Services version of SQL Server Express to get the full text search component. These installation steps assume that you have already created a website in IIS where you will copy the BV Commerce files. If you are using a hosting company, this would have already been done for you. Download BV Commerce 2018 from the Downloads section of your account. Copy only the contents of the \www folder to the server; the other folders contain the source code for developer use. If you're a developer using Visual Studio 2015 or above you can open the BVCommerce.sln solution file in the folder root to open the source code (note that the solution is setup to use IIS Express by default). 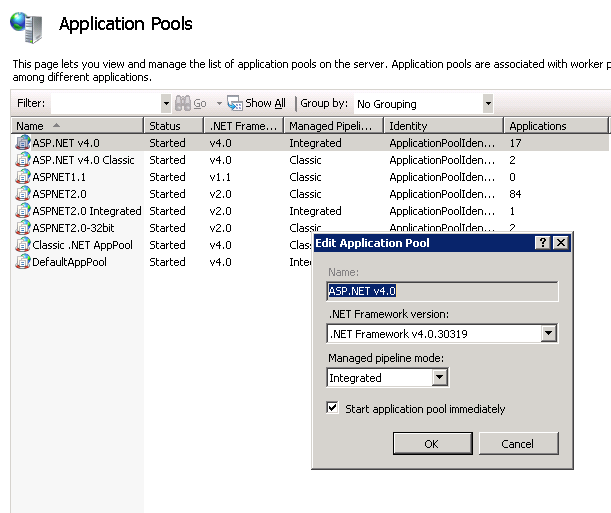 In IIS set your application pool to .NET Framework 4.0 and integrated managed pipeline mode. If you're using a hosting company you may need to contact them to make this change. Note that if you are installing BV Commerce in a sub-folder of your website, rather than at the root level, you will need to make this folder an application in IIS with its application pool set to .NET Framework 4.0 and integrated managed pipeline mode. Create a blank database in SQL Server. If the SQL Server is on a different server than the website replace "localhost" with the address of the SQL Server. Change "Bvc2018" to the name of your newly created database from the previous step. Enter your username after "uid=" and your password after "pwd=". Click the "Start" button to complete the installation. It can take a few minutes to setup the database. Once setup is complete you will be redirected to the store homepage. To access the store administration area, click the "Sign In" link. Enter the default username "admin" and the default password "password". Per PCI Compliance requirements you will now be asked to change your username, email address, and password (screen shot below). Be sure not to forget this information! Once you click the "Save" button you will be logged out and asked to log back in using your new login information. Congratulations! You've successfully installed BV Commerce 2018.